For 48 hours, Discount Mags is offering 2 Magazine Subscriptions for $10! There is no tax, no shipping and NO auto-renewal! 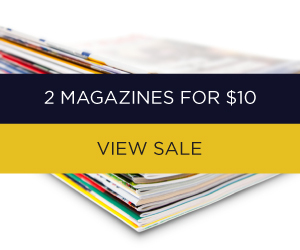 Get your 2 Magazine Subscriptions for $10 here. This offer expires at 11:59 PM TONIGHT (11/10/13).